Thermal Lamination Films have extrusion-coated surface with low temperature melting resin, which enables the lamination of film to paper products by heat and pressure. Various surface finishes available add value to the printed surface. Glossy BOPP thermal lamination film offers a shiny colorful finish. Its use can enhance the look and increase all laminated presswork’s useful lifetime. A combination of good performance characteristics and low price point make BOPP thermal laminating films ideal for all kinds of printed & unprinted paper and paper boards, including book covers, cosmetics packaging, magazines, documents, shopping bags, Diaries etc. 1. Environmentally friendly: non-toxic, odorless, or non-benzene because non-solvent based adhesive is used. It is environmentally friendly and non-hazardous to human health since no toxic gases or volatile content is emitted during lamination process. In addition, it is easier to recycle than water-based lamination film because film and paper can be easily separated. 1. 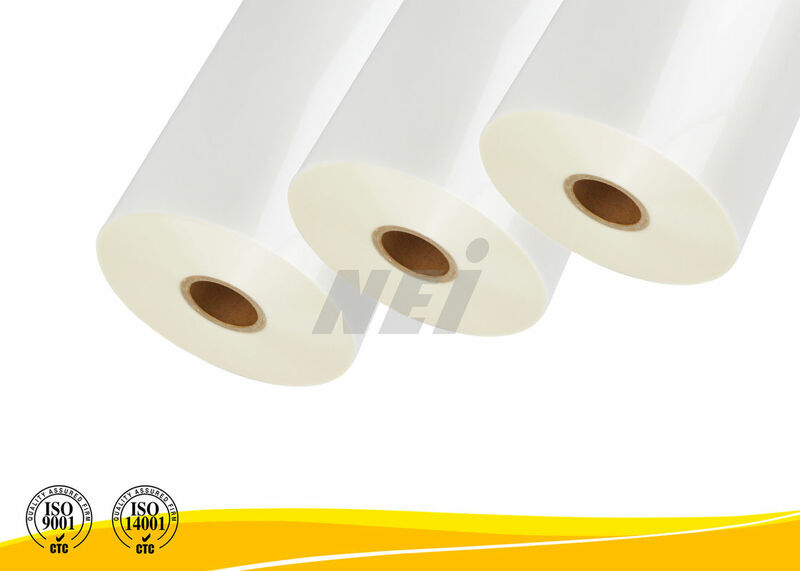 NEI glossy BOPP thermal lamination film is suggested to be laminated with the roller temperature range of 85 to 110°C and roller pressure of 10 to 20 Mpa. However, the optimum conditions are depending on the selected laminator’s speed and dimensional stability.